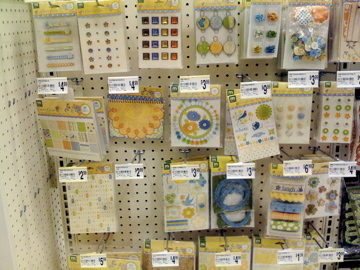 New Making Memories and More at Michaels! Now how’s that for alliteration?!? 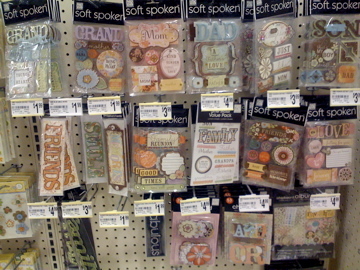 LOL But really what I need to say is……GET THEE TO MICHAELS AND FAST! Yeppers, they have some more new items. And thanks to my trusty iPhone…because you would NOT see me whipping out my bulky Kodak Easyshare in a STORE, for gosh sakes….I have PHOTOS!! 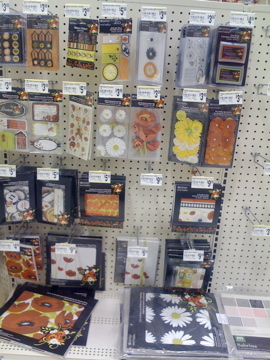 Okay, I probably so WOULD take photos in Michaels with my big Kodak but, see this way, I don’t get arrested. Today, we have for you….Chloe’s Closet by Making Memories…. 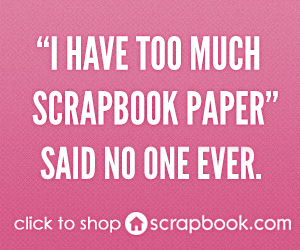 See the cute spiral journaling notebook in the second row for $4.99. Got me summa’ that, for 40% no less! And I already used that front orange and yellow one on a Gratitude Project layout. Bla-DOW! 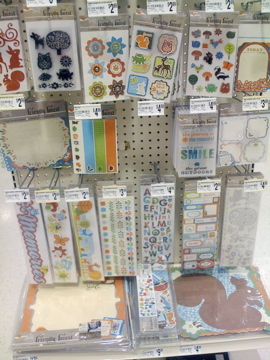 Here’s some fun and pretty new MAMBI paper pads and Soft Spoken embellies. Loved them all and got none. This time. Love the poppies, so striking…. 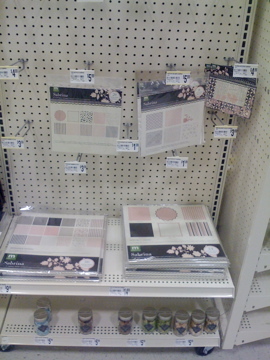 And this is cute…all pink, black and white by Making Memories again…As you kin see, they were still filling the rack. 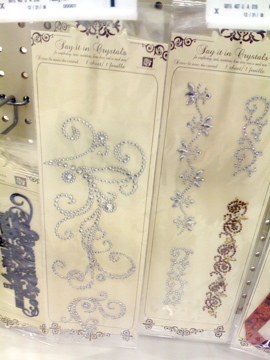 This bling-y flourish will eventually belong to my collection…. Strangely enough, the rack where I found all this loot was in the back before you get to framing and such. 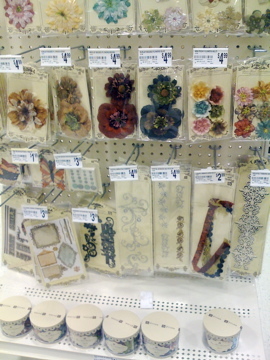 It’s the rack that used to be in front of the scrapbooking area so, whatever. I’m sure Michaels has some grand master plan up their sleeve and someday that will all make sense. Right? Another hot item at Michaels – that I was somehow not informed of until AFTER my trip there (ahem) – is this Valentine Lace border punch by Martha Stewart. The Peas are talking about it HERE. So, see anything you like? 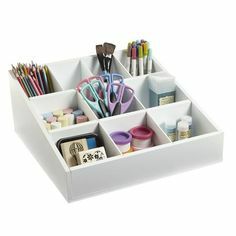 What will you buy at Michaels? 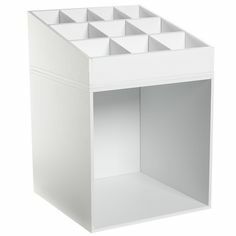 Fun Storage for Stickles	Scrapbook Santa Strikes Again! You’re on Mike’s payroll, aren’t you? If not, you should be! You’re the best dang salesperson they have! These pics just make my mouth water. Bla-Dow!!! You are such a hoot!!! I am a MM freak, so I can’t wait to over to Mikes!!! I think out of all embellies on the market, they are the best!!! Oh, and that Sassafrass Lass stuff with the critters – too cute. 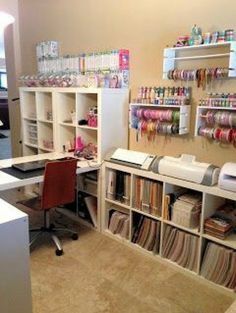 I have some of the papers, and the pre-sewn buttons – but havn’t found the right project yet. But all these other woodland creature goodies? They will be mine, oh yes, they will be mine!!!! Hey Ericka…just made a trip to Mike’s specifically for the MS heart punch. They had it so it landed in my hot little hands. Then I turned and spied the Chloe’s Closet collection–pure bliss! My heart went pitter-patter! I haven’t fallen so hard since Wild Saffron. I think I want every piece of the collection. Sigh. Thanks for the shout out!!! I love the rubons I’m seeing on the top rack there! And so much of that line looks like fun! 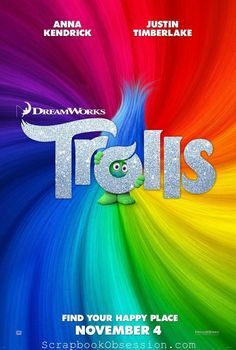 I may have to check it out! who makes the woodland creatures line? Is it at Michael’s? 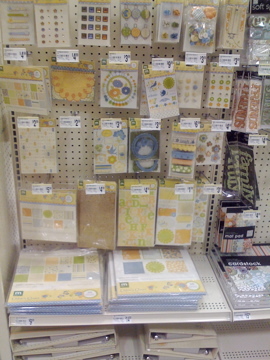 Just read this post today…went to Michael’s yesterday, and pretty much bought out the entire shelf…all the way around! Good reporting! 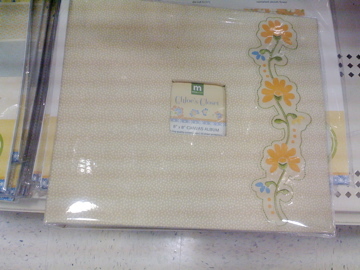 I bought the Chloe’s Closet 4X6 paper pad for card making. It’s so happy and spring like. I have already used it for 3 cards. i just picked up the full sabrina line at mike’s om saturday but i didn’t see the chloe’s closet. now i will have to go back.. I went nuts for the Chloe’s closet line, but why can’t I find it on the MM site to submit my creation??? Kind of odd! 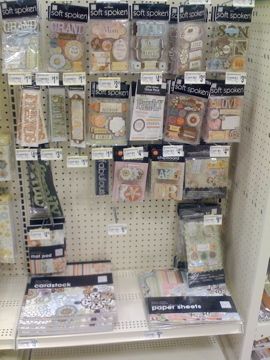 Came across your blog while looking for the Chloes Closet paper pack by MM. 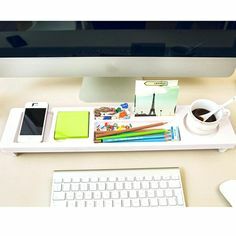 I found that this line is on clearance at Michaels along with the poppies (which I also bought the paper, ribbons, chipboard, rub ons, accordian album and 3d stickers for $25) so you might want to checks out your stores before it is all gone!! I bought 8 pieces of the Chloes Closet line for $20. I almost bought the forest friends line but there wasn’t too much of it left to make an album with. Might have to check out the other Michaels by my house.